Vibrant Media, the contextual advertising company behind in-text advertising, will expand its services to offer support for full-page brand and mobile ad units. The company will begin this fall with offerings for the Apple iPad, followed by iPhone and Android, and then other tablets. Viewable ads will also become a focus for Vibrant this year. "About 40% of viewable ads are never seen," said Vibrant CEO Cella Irvine. The ads expand from a keyword or an image on a page. Brands like Procter & Gamble, IBM, BMW, Chrysler and Jaguar tap into in-image placements where viewers must hover over the ad for three seconds before it expands. About 4% of users complete the task. The ads get between 40% and 50% completion rates for 15-second spots. Earlier this year, the company launched Lightbox Video, a technology that opts-in viewers with a three-second countdown. IBM ran a campaign aimed at turning IT professionals into brand advocates. Along with the Lightbox technology, Vibrant ran a Twitter feed in the ad unit and asked people to tweet or retweet their impression of the video or the advertisement. Irvine said this service expands the supply of video inventory because it's not limited to pre-, mid- or post-roll ads in a video. Vibrant has undergone a transformation during the past nine months. Aside from expanding its services from in-text ads to branding, video and interactive ads, the company in January acquired Image Space Media, an in-image advertising technology company. The 12-person New York technology startup had zero revenue, Irvine said, but the company will close out this year with revenue "in the high single digits." 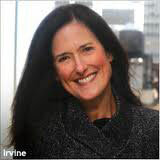 Irvine said the ISM acquisition will help Vibrant generate "healthy revenue growth" this year, along with the March hire of CRO Sheila Buckley, former chief digital officer at the Weather Channel.